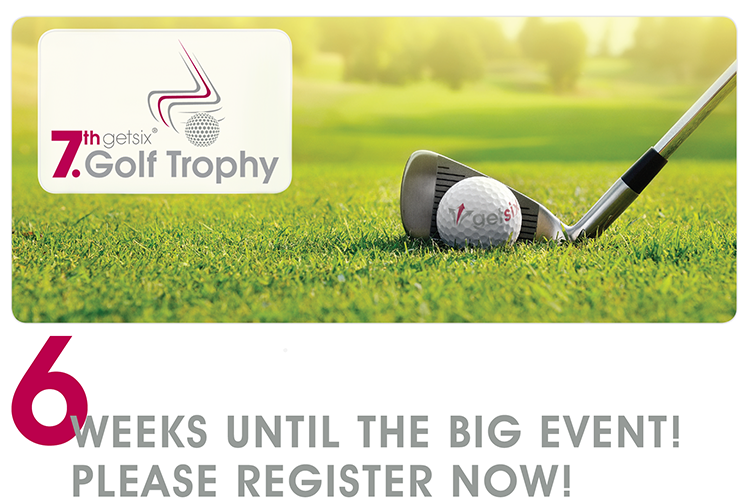 Countdown: 6 weeks to 7th Annual getsix® ‘Golf Trophy’! PLEASE be so kind as to register or advise us of your participation prior to 15th June 2018 so that we can make the necessary arrangements in good time. We are looking forward to seeing you there for a fun and relaxing day.